Create profiles for your electric, natural gas, and water appliances - with your utility rates (fixed or tiered) or use your state's average rates. Look at your consumption in a new light. Identify ways to cut your utility bills by identifying the most consuming appliances & activities. Save time and money by eliminating phantom loads, reducing wasteful consumption, and decreasing wear & tear on your appliances. * According to Lawrence Livermore National Laboratory, phantom loads are approximately 10% of residential electricity use. Eliminating wasteful appliance usage means decreased wear & tear on your appliances. 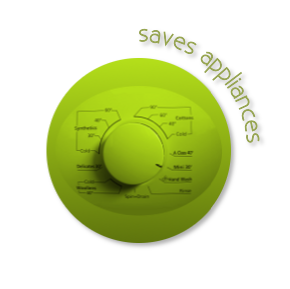 Using your appliances efficiently gives you a longer appliance life and increased savings on your utility bills. 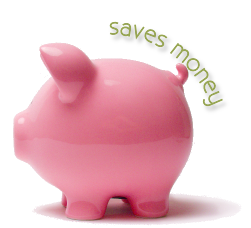 It also eliminates the time and money spent on replacing your appliances. 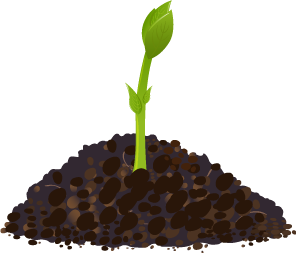 Reducing the amount of time you use energy lessens your carbon footprint. 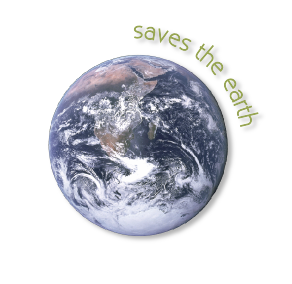 Reducing how much energy you use saves the natural resources that are consumed for energy production and usage. Using less energy today saves natural resources for the future. 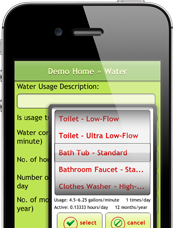 EnergySaver covers usage and rates for electricity, natural gas and water all in one app. 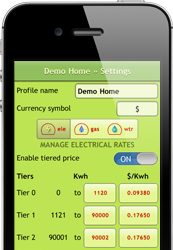 This one app will show you how much time and energy each of your appliances uses and how much money you spend on that. Want to know how your energy use changes during the year? Create a profile for each season. Want to help family and friends cut their utility bills? Create profiles for them. Thinking of adding or replacing appliances and want to see the potential impact? Create a profile for different scenarios. Recognize how much time you use energy to see how much money you spend on energy. Identify phantom loads. Learn which appliances you use the most and which appliances use the most energy. Not sure how much electricity your microwave uses? Don't know how much water your showerhead uses? Don't have your utility bills on hand to enter your energy rates? + Rates change within each state, per utility company, per region, etc. Entering your own appliance list and energy rates is important because it makes EnergySaver's results more personal and accurate. Don't worry that you will need to enter each light bulb individually - EnergySaver's interface gives you the option of entering all of your light bulbs (or any other appliances) in one entry. Energy rates are entered just once and apply to all of the appliances in your profile. 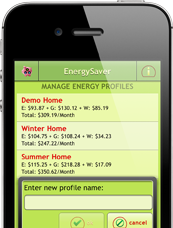 EnergySaver can be used on both iOS and Android devices. EnergySaver provides high-resolution visual results specifically maximizing the advantages of the Retina Display and other high-resolution displays, if available. EnergySaver is available for download on the App Store and Google Play. Create an energy profile - for your home in summer & winter, for your parents' home, etc. Add your electric, natural gas and water appliances. Use your appliances' or EnergySaver's use data. Enter your utility billing rates - either your specific rates or your state averages that are provided by EnergySaver. 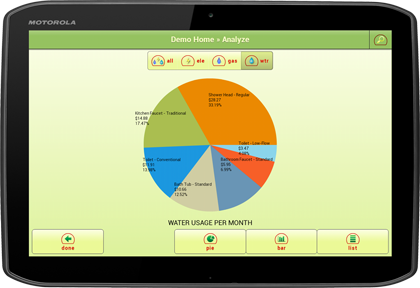 See how much time you use energy, identify patterns of use and create ways to cut your utility bills. Have questions? Check out the FAQs section. © 2019 EnergySaver. All rights reserved.